Keeping physically active may help prevent this common problem. Prevention is better than cure I always say. With most reported back pain being acute, it develops due to activities of daily living. Or as I would call them “inactivities of modern living.” LBP is also the most common report for longterm illness, with 80% of people experiencing LBP at some stage in their lives. Many women report they suffered from LBP to me during pregnancy and many newbies to my sessions at GLOW will present the same issue. If you don’t suffer from chronic back pain, then you have most likely incurred a mechanical issue and or soft-tissue injury. These injuries can include damage to the intervertebral discs, squashed nerves, and improper movement of the spinal joints. The single most common cause of lower back pain is a torn or pulled muscle and/or ligament. How Did We Get Here? How Are Our Bodies So Out Of Whack? Modern day life most times equal a sedentary life. Even if you do manage a 5km run and some movement per day, most of our time we are sitting hunched over our computers. 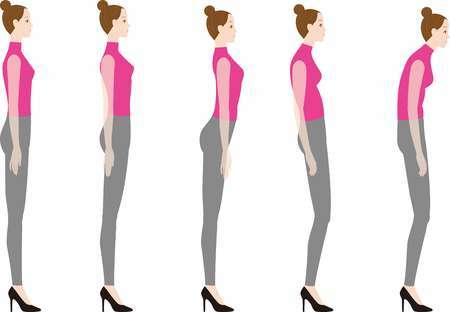 Shoulders tight, aggravating the neck, not engaging your core, tightening and shortening your hip flexors because the hips aren’t flexed due to long hours of sitting and also shortening and tightening the hamstrings, which has a negative affect on your glutes, which will then aggravate your lower back even more. Some people do have jobs where they are perhaps hunching or bending over to see clients. You have to be aware of not only working on one side of your body, switch up dominant sides, be careful not to create imbalances this way. We can easily over use and thus strengthen one dominant muscle and muscle groups. When your lower back muscle ache, it doesn’t mean its weak. It means it’s strong, it’s doing all the work. Your core is weak. Many people walk around not knowing how to engage their core. This means the entire body starts using the strong dominant muscles more often to perform functional tasks other muscles are meant to use. This is how you cause a muscle strain. Muscle strains in the back will pull disks out of place. Immobilizing you with pain. Many think because their back “is sensitive” or is easily hurt, they shouldn’t be lifting and bending. Incorrect, no one should be lifting, bending and moving incorrectly. Long periods of inactivity have actually been reported to flare up and aggravate back pain. I experienced a degree of this myself while pregnant. If I went a day without exercise, I would feel mild strain creeping on. We all have to work on STANDING, WALKING, THRUSTING, BENDING, LUNGING & SQUATTING correctly. Yes, even STANDING. Lol. Your tailbone should be slightly tucked in and your core should be engaged your torso should be over your hips, not swaying forward or backward. See below pictures. We have to strengthen our muscle movement after correcting poor and incorrect movements due to years of moving incorrectly. This doesn’t happen overnight. You cannot clean, deadlift and perform explosive heavy loaded exercises if your foundation is out of whack? Make sure you have been guided by a qualified, proper coach. Yes all hair stylists are qualified stylists, but not all hairstylists can execute a perfect blow out. Coaches and personal trainers are a dime a dozen these days. Make sure you have done your research and that you are taken care of by someone who has your best interest at heart. To alleviate lower back pain my recommendation would be to keep on moving. Work on full body exercises that are functional (direct cross over to daily activities), this will mean that bending, reaching for washing, picking up and moving furniture, carrying grocery bags, rotating and moving with kids, all become fortified and easier. All of these exercises should incorporate correct core engagement. This isn’t even about your abs. Remember throwing your back out can also be a result of FALLING badly, something women growing up somehow forgot how to do. You have to be ok with falling. Losing your balance. Firstly you have to work on strengthening your balance. Doing one-legged exercises, like one legged deadlifts, one legged jumps and one legged explosive work etc. If you’re going to take a fall, be okay with using your bottom to fall on. Your glute is a cushioning that can take it. Keep your chest up and arch back, lowering yourself through your knees. This technique can even prevent your fall if your stabilizers come into play. 1. Be more mindful of your posture when driving and working, standing and walking. 2. Keep your hips over feet, core always engaged. 3. Don’t bend with your back. Bend at your pelvis, knees and ankles to pick anything up off the floor. 4. Make sure there is 10-15cm space between your desk and hands to take off maximum pressure on your joints. 5. Sit upright at your desk as if you are balancing a book on your head. 6. Don’t walk with your bum out, tuck your tailbone under and zip your belly button toward your spine. 7. Perform 45m – 60m of weight lifting routine at least twice per week. 8. Ensure you’ve done a good warm up before your session. 9. Work your way up to getting running fit, running too far, too hard too soon with back muscles you don’t have and a core you cant engage can lead to an injury. 10. Don’t pick up heavy weights if you don’t know how to pick up lighter weights. 11. Don’t copy what you see on YT AND Instagram unless its for your level of skill and fitness. 12. Ensure you are following a well balanced diet with loads of natural anti-inflammatories, like Tumeric, Cayyenne Pepper and lemon. Food is healthcare. Medicine is sick care. Never forget. 13. Be mindful of how you hold your phone. Lift the phone higher so the screen is eye height. 14. Your twenties are the years you lay down your bone and joint health foundation. It will be your peak. LOL. Make sure you supplement with a great joint supplement going foreward. Chondracare from Metagenics is great. Or SOLGAR something with Glucosamine and MSM in it is great, this one is shellfish free if you’re allergic! What if I Suffer From Chronic LBP? Try low intensity activities like yoga, walking, swimming and Pilates. Regular massage, Endermologie and cupping will also assist with circulation, keeping blood flowing to those stuck muscles. Love this post. Exactly what I needed to read especially with my lower back pains I’ve been experiencing. Almost 50 and I’m lapping up all your recommendations- never too old to learn!